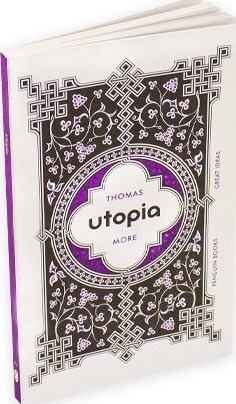 In `Utopia` Thomas More painted a fantastical picture of a distant island where society is perfected and people live in harmony, yet its title means 'no place', and More's hugely influential work was ultimately an attack on his own corrupt, dangerous times, and on the failings of humanity. Throughout history, some books have changed the world. They have transformed the way we see ourselves - and each other. They have inspired debate, dissent, war and revolution. They have enlightened, outraged, provoked and comforted. They have enriched lives - and destroyed them. Now Penguin brings you the works of the great thinkers, pioneers, radicals and visionaries whose ideas shook civilization and helped make us who we are. Thomas More was born in 1478. He succeeded Wolsey as Lord Chancellor of England, but came into conflict with the king, Henry VIII, by refusing to acknowledge him as sole head of the Church. Charged with high treason, More steadfastly refused to takean oath impugning the pope's authority or upholding the king's divorce from Catherine of Aragon. He was beheaded in 1535.